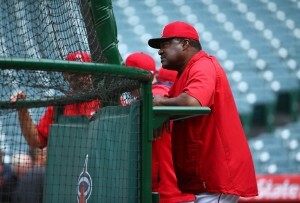 New Angels general manager Billy Eppler announced late Tuesday night that hitting coach Don Baylor and pitching coach Mike Butcher will not return to the club in 2016. 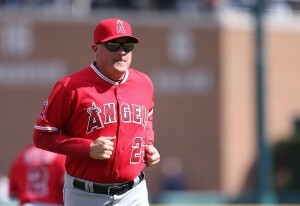 Baylor, who won American League MVP while playing for the Angels in 1979, returned to the club as hitting coach in 2014. He has been a manager or coach in each of the 23 seasons since he stopped playing. Butcher took over the Angels pitching coach duties in 2006 after Bud Black left to manage the San Diego Padres. Dean Chance, who pitched for the Angels from 1961-66, has died at age 74, according to an Associated Press story. Details of Chance’s demise were not immediately available. Chance won the Cy Young Award at age 23 in 1964 while going 20-9 with an ERA of 1.65 for the Angels. Chance began a three-year stint with the Minnesota Twins in 1967 and pitched a no-hitter for them on Aug. 25 of that year. 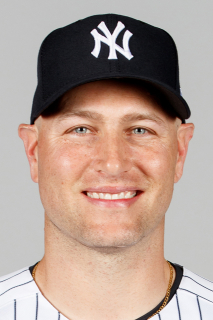 Chance also pitched for the Cleveland Indians, New York Mets and Detroit Tigers and finished his 11-year career with a record of 128-115 and ERA of 2.92. Chance earlier this season was on hand at Angel Stadium when he and others were inducted into the Angels Hall of Fame. Chance was only 30 in 1971, his final season. Angels catcher Chris Iannetta had a very good observation Monday while cleaning out his locker in the Angels’ clubhouse. It came a day after the Angels lost 9-2 at Texas. They needed a victory in that game to force a one-game playoff with Houston for the right to play in the American League wild-card game Tuesday at New York. The Angels won nine of their last 12 games to put themselves in position to make the postseason, but it didn’t happen. Owner Arte Moreno on Monday was helping play host to the news conference formally announcing the hiring of Billy Eppler as the team’s 12th general manager. Moreno was talking about the process and mentioned a moment when he, Eppler and other Angels executives were having dinner recently to discuss the job. “He (Eppler) was a little nervous and he said, ‘I’ll just drink water.’ ” I said, ‘You better have a glass of wine,’ ” Moreno said, drawing lots of laughs from reporters and family members of Eppler.